Affordable. Accessible. Absolutely Amazing. 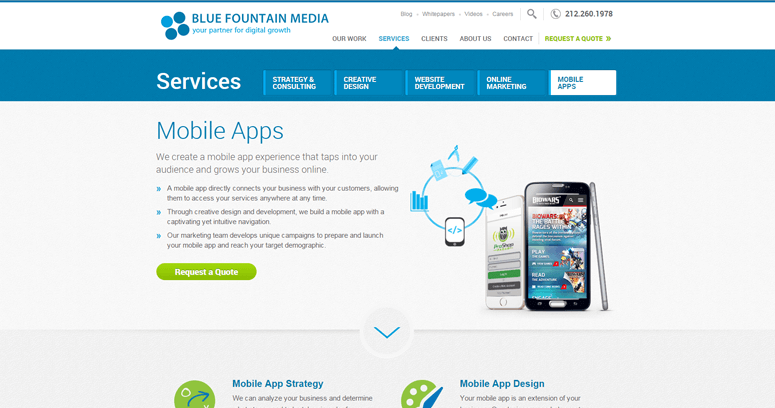 These are the best words to use when you talk about Blue Fountain Media. As a down to earth and culturally relevant web design firm, we specialize in offering each of our clients excellent services at competitive rates. 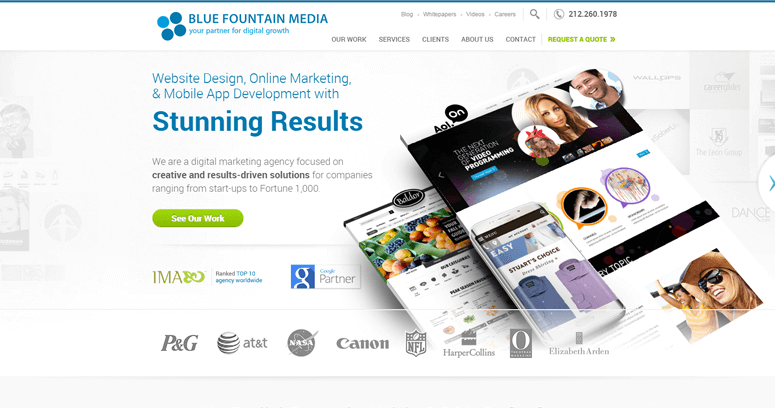 The tech experts of Blue Fountain Media have extensive experience in the dynamic web design industry, and we'll use our knowledge to put together customized, cutting edge websites that show the world how incredible your goods and services really are. By maintaining a customer-centered approach to the world of web design, we're able to ensure that each client we serve is excited and happy about the outcome of the work we perform on their behalf. And as a cutting edge company, you can rest assured that our methodology and praxis will be relevant and intriguing in this contemporary world. 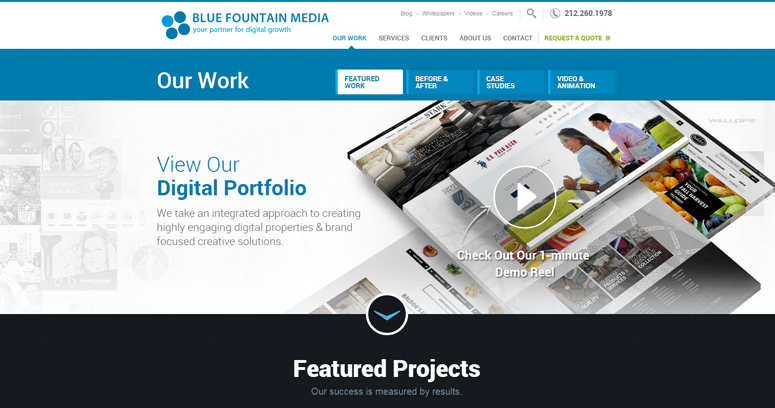 When you choose Blue Fountain Media, you're choosing excellence, innovation, and integrity!